Many see gun control as a controversial topic that has sparked much debate. This gun control essay can offer ways to examine this topic from both the ‘pro’ and ‘against’ sides. By detailing the pros and cons of gun control, you will be able to see the impact on society. These examples include recent changes in laws, news stories associated with gun violence, and what other countries do about this highly debated subject. Examining a topic from both sides, it offers a deeper and richer understanding that cannot be achieved from one-sided analysis. American citizens own almost 50% of the total number of civilian guns in the world. Gun ownership is a right sanctioned by the American Constitution under the Second Amendment. With the U.S. population coming in at 5% of the total word population, the high number of gun ownership seems unreal. (Lott) People who support gun ownership in the United States suggest guns provide them safety. Those who support gun control say gun violence is at an all-time high thanks to legal gun ownership. This essay will highlight the pros and cons of gun control by examining what constitutes gun control in America and other countries, and what reasons people support or are against control. 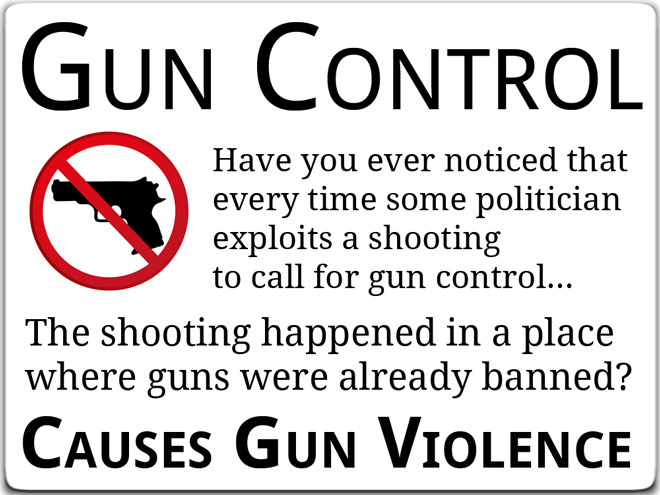 Gun control laws have existed in the United States and the world for years. The first federal gun control law in the U.S. was enacted in 1927. “…a 1927 law prohibiting the sale of hand-guns to private individuals through the mail. This was one a series of federal laws dealing with vice by protecting the integrity of the U.S. mails.” (Jacobs 20) However, in the United States, the crackdown on gun ownership began in the 1930’s when notorious gangsters had too much access guns. 1934 saw legislation passed to impose new criminal penalties, taxes, and regulations to those that owned sawed-off shot guns and machineguns thanks to criminals like Al Capone (Lott). Four years later, Congress passed the 1938 Federal Firearms Act that required gun dealers to register and maintain a record of transactions. The assassination of John F. Kennedy and a couple of other high-profile deaths led to the signing of the 1968 Gun Control Act, which regulates firearms owners as well as the firearms industry. (Lott) Congress went on to pass several more laws in the 1980’s and 1990’s with the most notable being the assault weapons ban, part of the 1994 Violent Crime Control and Law Enforcement Act. (Jacobs) Keeping assault weapons away from the public became the new aim for the American government. Most in part due to the increased level of gang violence experienced in the 1980’s and 1990’s. 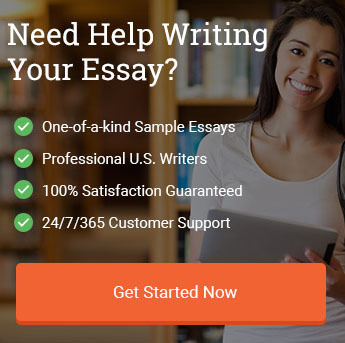 Stuck Writing Your Gun Control Essay? For someone to understand gun control, it is important to examine the reason for gun control aside from high-profile shootings. Jacobs states gun control legislation has focused on preventing accidental shootings by promoting safe storage and enforcing mandatory trigger locks. “Gun controls like these are aimed at preventing firearms accidents rather than gun crime or suicide. Indeed, firearm proponents frequently emphasize that the household firearm poses a risk to its occupants, especially children.” (Jacobs 4-5) If Congress aims to prevent accidental shootings, this could be the main reason for gun control aside from assassinations and mass murders. Lack of gun control could pose a risk not just for select people, but for every American citizen. Walmart was at the center of the gun control debate for providing continued access of guns to American citizens. From the Virginia shootings to the Colorado movie theatre massacre, Walmart needed to face the backlash for being America’s biggest seller of ammo and guns. Therefore, Walmart decided, beginning with the Columbine Shooting, to pull ammo and certain guns from its shells. Not everyone is pro-gun control. Those that believe firmly in the Second Amendment have continued to support gun rights and oppose stricter gun control policy. The biggest supporter of gun rights is the NRA. The NRA stands for the National Rifle Association. (Hand) They have fought for years to keep the rights of American citizens to own guns. Originally founded in 1871 and seeing a revival in the early 1970’s the NRA does not want Congress to continue restricting availability and access to guns. There are several reasons for such a mentality. The first main reason, similar to those that are pro-gun control is fear. People wish to have the means to protect themselves from a criminal or suspicious person. They want and feel the need to defend themselves if attacked by others. (Hand) That desire to feel safe is what keeps people fighting to continue their access to guns and assault rifles. This leads to the third reason. Supporters of gun rights believe gun ownership deters crimes. They believe if someone has access to a gun legally, those that may wish to rob a store for example, will not for fear of being shot by the store owner. These are just some reasons people are against gun control. It is also important to look at countries that fully support gun control, resulting in the extreme limited availability of guns to the public. Japan is one country of several that have low tolerance for gun ownership. Starting in the 1940’s Japan began taking a stance towards removing access to guns. “The Imperial Ordinance to Ban Possession of Guns, etc. was put into effect in June 1946 to prohibit the possession of guns, explosive and swords. The law was replaced by the Ordinance Regulating the Possession of Guns…” (Shikita and Tsuchiya 12) Now Japan has one of the lowest crime rates and low rates of gun crime. Although roughly 271, 000 Japanese citizens own guns in Japan, this is far less than the 127 million total country population. Australia is another country that limits access to guns to its citizens. This came because of a mass shooting that happened over twenty years ago that resulted in the deaths of 35 people. The country’s then prime minister, John Howard, took to setting up gun reforms that restricted gun ownership, reducing the occurrence of mass shootings to zero. Australia similarly to Japan, has not banned gun ownership outright, but has made it difficult to access and own a gun. In conclusion, guns have a place in American society. Thanks to the Second Amendment, Americans feel they have the right to own guns to protect themselves and their families. Those that support gun ownership due so because they want to feel safe. They believe possession of firearms allows them to prevent and deter crime as well as promote a feeling of security. Those that support gun control see gun crime escalating in the United States and feel lax gun laws are at the center of it. From mass shootings to high-profile murders, the constant and easy access to guns has made gun violence a main issue for Congress and the American public. People find that gun control remains ineffective and want things to change. With stores like Walmart having maintained assault rifles on its shelves up until recently, there is little in terms of restriction see in United States law. This is in stark contrast to other countries like Japan and Australia who have strict gun ownership legislation. Such laws have led to a diminished occurrence of gun-related crime in these countries. Although the United States believes in the right to bear arms, the American public needs to realize the need for continued reform when it comes to gun control. Statistics showing that America holds almost half of the world’s total number of civilian guns is a daunting statement. The United States needs to assess the gun violence and increase gun control while also maintaining the Second Amendment rights. CLARKE-BILLINGS, Lucy. “Sixteen Children Killed in Dunblane Massacre: From the Archive, 14 Mar 1996 | From the Guardian | The Guardian.” The Guardian, 17 June 2016, www.theguardian.com/theguardian/2013/mar/14/dunblane-massacre-scotland-killing. Accessed 8 Apr. 2017. Hand, Carol. Gun Control and the Second Amendment. ABDO, 2016. Ingraham, Christopher. “New Evidence Confirms What Gun Rights Advocates Have Said for a Long Time About Crime – The Washington Post.” Washington Post, 27 July 2016, www.washingtonpost.com/news/wonk/wp/2016/07/27/new-evidence-confirms-what-gun-rights-advocates-have-been-saying-for-a-long-time-about-crime. Accessed 8 Apr. 2017. Jacobs, James B. Can Gun Control Work? Oxford UP, 2004. Kaufman, Scott. “Toddler Accidentally Shoots Father in Walmart Parking Lot.” RawStory, 4 Nov. 2013, www.rawstory.com/2013/11/toddler-accidentally-shoots-father-in-walmart-parking-lot/. Accessed 8 Apr. 2017. Lott, John R. More Guns, Less Crime: Understanding Crime and Gun Control Laws. U of Chicago P, 2013. Shikita, Minoru, and Shinichi Tsuchiya. Crime and Criminal Policy in Japan: Analysis and Evaluation of the Showa Era, 1926–1988. Springer Science & Business Media, 2012. Tabuchi, Hiroko. “Walmart to End Sales of Assault-Style Rifles in U.S. Stores – The New York Times.” The New York Times – Breaking News, World News & Multimedia, NY Times, 26 Aug. 2015, www.nytimes.com/2015/08/27/business/walmart-to-end-sales-of-assault-rifles-in-us-stores.html. Accessed 8 Apr. 2017. The best sources for topics like gun control are news articles and books. News articles give up to date information while books offer insight on current and past laws. Although gun control is a controversial subject, it offers a wealth of different avenues to take. By providing the background on something like gun control, it helps readers gain interest in the topic. Gun control is a hard topic to analyze. However, looking at it from both sides offers so much in terms of what you can do and which direction to take. I hope this gun control essay has helped you. Keep writing, and always remember, there is more than one side to anything. "Gun Control Essay Example (Updated in 2019)." Aceyourpaper.com. Student Network Resources Inc, 13 April. 2017. Web. 18 April 2019. Student Network Resources Inc. "Gun Control Essay Example (Updated in 2019)." Aceyourpaper.com. 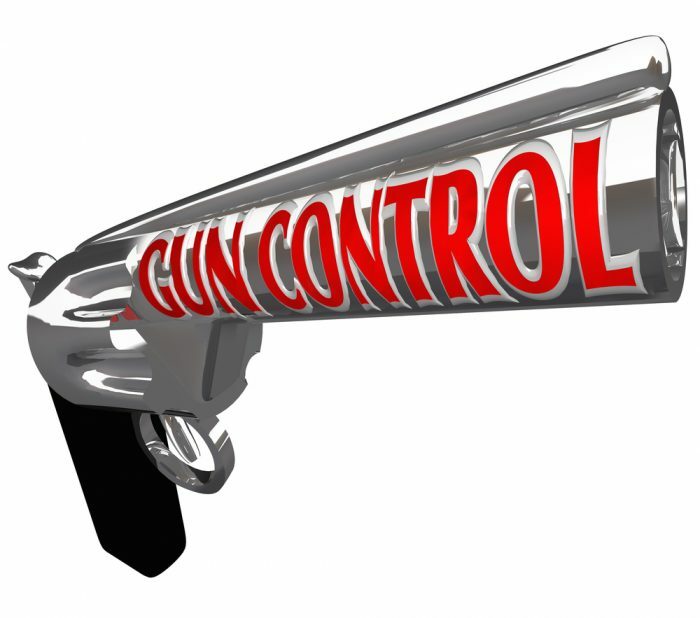 https://www.aceyourpaper.com/essay/gun-control-essay/ (accessed April 18, 2019).